The job of the immune system is to find foreign substances, such as viruses and bacteria, and get rid of them. Normally, this response protects us from dangerous diseases. 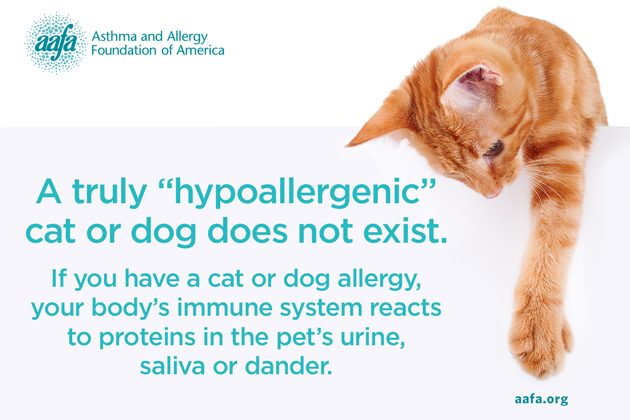 People with pet allergies have over-sensitive immune systems. They can react to harmless proteins in the pet's urine, saliva or dander (dead skin cells). The symptoms that result are an allergic reaction. The substances that cause allergic reactions are allergens. Animal allergens are sticky. So you must remove the animal's favorite furniture, remove wall-to-wall carpet and scrub the walls and woodwork. Keep surfaces throughout the home clean and uncluttered. Bare floors and walls are best. 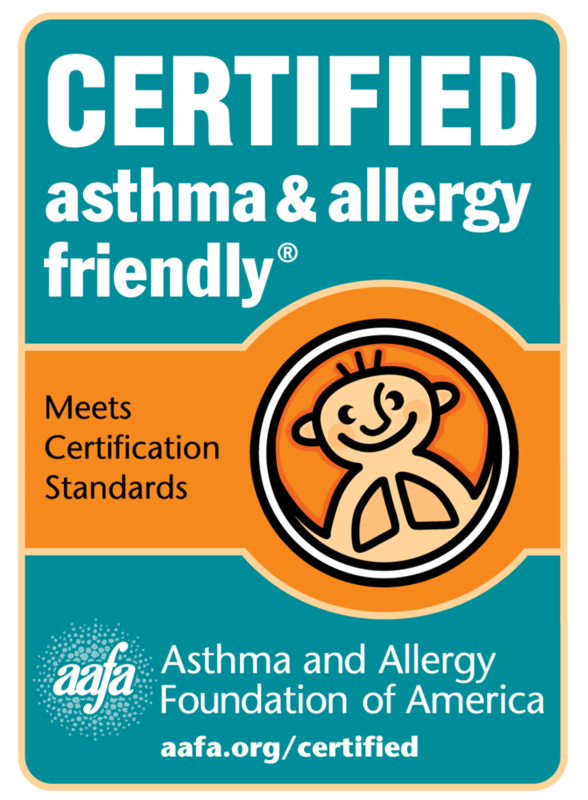 Adding an air cleaner combined with a CERTIFIED asthma & allergy friendly® filter to central heating and air conditioning can help remove pet allergens from the air. Use an air cleaner at least four hours per day. Another type of air cleaner that has an electrostatic filter will remove particles the size of animal allergens from the air. No air cleaner or filter will remove allergens stuck to surfaces, though. Washing the pet every week may reduce airborne allergens, but is of questionable value in reducing a person's symptoms.